The year is now 2015. After a slight population surge last season, this alarming 2013 story on the decline of the Minnesota monarch is once again headline news. How many Minnesota Monarchs have you seen this season? The 2013 butterfly season isn’t unfolding as monarch enthusiasts had hoped it would in Minnesota. There is similar disappointment spreading across much of North America. 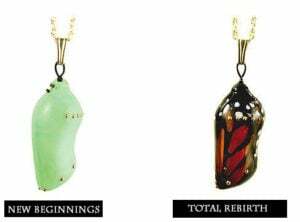 It was recently reported by MPR News that many in the state of Minnesota have yet to see their first monarch butterfly. This is especially troublesome when you consider many see their first Minnesota monarch before the end of May. I didn’t see my first monarch until June 26th, but the female I encountered was kind enough to leave behind a fresh batch of monarch eggs. As disappointed as I was to see her arrive at this record-late date, I now realize I’m one of the lucky ones. Last year our warm spring gave us an extra generation of monarchs. 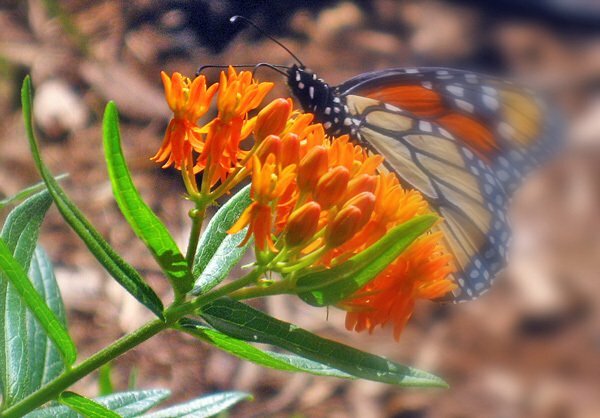 However, the drought killed that advantage by destroying the monarchs lifeline…milkweed. This year, we started slow because of the spring that never was, aka Minnesota’s most-hated season…sprinter! However, the continuing spring/summer rains should be beneficial to the monarch population because milkweed plants are thriving and ready for an army of munching monarch caterpillars. There’s not much you can do to stop farmers from using these pesticides, but there are some things you can do to attract and nourish the monarch butterflies fluttering around your garden. If our community unites to support monarchs, it can make a big difference! 2. 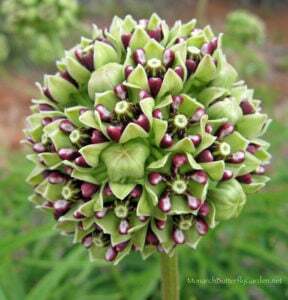 Cut back Your common milkweed: do this to some of your plants by about 1/3 after their bloom period. 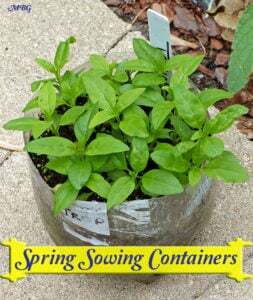 This promotes fresh leave growth, which monarch females prefer for laying eggs as opposed to tough, weathered foliage. 3. Water: I didn’t have to water our Minnesota garden for the first time until July 6. The precipitation forecast still looks good for sustaining milkweed and nectar flowers. However, during the dog days of summer watch your plants closely and water them if they look stressed. Dried out leaves/flowers won’t support monarch metamorphosis. 4. 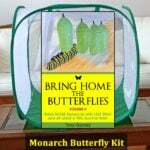 Raise monarchs: The survival rate of monarchs outdoors is estimated to be a lowly 5%. In gardens with lots of predators (ants, spiders, wasps, flies) this number is even less. My survival rate indoors is over 95%. While it does take some experience to reach that success rate, anything over 5% is a step forward in replenishing the struggling monarch population. If you’d like to start raising your own monarchs, check out some of these helpful raising resources. All four of these actions will help to bring more monarchs to your garden throughout the season…even this one! I also believe that your garden location will live on in the genetic code of future monarch generations insuring return visits of these majestic garden butterflies. This isn’t so hard to believe knowing that a new generation of monarchs travels to the same remote destinations during their annual fall migration. While this season has been frustrating for most, I believe many of you will see your first monarchs closer to August when the next generation reveals itself. Until then, leave no leaf unturned, and keep your garden plants ready for their impending arrival. I live in Little Falls, in the middle of town. I have a certified backyard wild habitat and hundreds of milkweed plants, of various types. My experience this year was different because I had more monarchs that years before. The latest pupa that I found (as a caterpillar) should be about ready now, 9/12. I suppose it will not survive the trip to Mexico taking into account it’s late. But there is a thing that is unusual about it. Although I have some many milkweeds in 1/3 acre, this one I found eating mustard and it attached the silk to that plant. I know for sure it is a monarch, so I suspect they are adapting. A lady in Texas has some that are eating other plants also. I was wondering if anyone else has found them eating things other than milkweed. Hi Carmen, this article was posted a couple years back when monarchs were few and far between…I’m happy to report that many have had a fantastic season in 2015! September 12 is not late for monarchs to migrate from Minnesota. We have release monarchs into October…good luck! Monarchs have been reported to eat cucumbers and squash in captivity, but when people report them eating other garden plants it’s usually a mistaken ID. 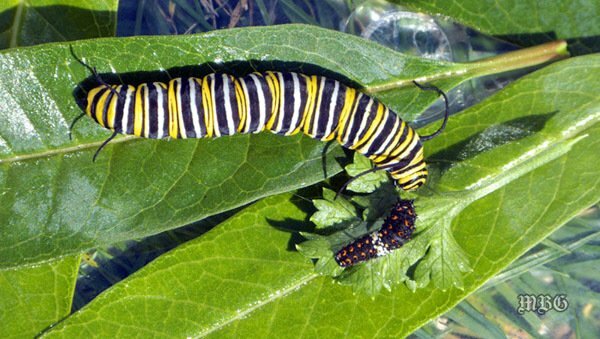 Many mistake black swallowtail caterpillars for monarchs. If you ever see them eating mustard greens again, please document it with photo or video…thanks! Also we should be telling Garden Centers that we know they are selling Roundup and we will not shop there! With more and more people realizing the effects of Roundup not only in their own gardens, but the effect it has worldwide we have decided to explain why we don’t sell Roundup. I was reminded after I was at a seminar at a local nursery a few weeks back that talked about the benefits of organic gardening and how they are going green for the environment. I was very pleased until I walked around their store and noticed Roundup products. I asked a clerk why they are selling such a horrible product if they are trying to sell their customers about going green. Her reply was “If they don’t buy it from us, they will buy it somewhere” That might be true, but to tell your customers your all about going green and saving the planet when you sell a product that is killing the environment is all about marketing and profits. After I left, I stopped at a few other nursery’s ranging from the big stores to some mom and pop stores. What I saw and experienced at every one of them was, “We are going green, we want to save the planet, we sell organic products for your health because we care.” It was the same story over and over again. It was simple marketing about “Look at us and how much we care about you and the environment, but go down isle 9 and buy some Roundup.” Marketing and profits was their story, saving the environment was just a marketing tool. Roundup is what’s known as a broad-spectrum herbicide, because it kills nearly anything green. When I say nearly everything green I mean, from Crabgrass to Milkweed, yes Milkweed the plant that Monarch butterflies need to feed on. When I was a child we would drive out to Stillwater to go boating and I remember seeing Milkweed everywhere in the ditches with 1000’s Monarchs all over them. When I last went out to Stillwater last summer I could count on my hands the Milkweed and Monarchs I saw. Its main ingredient is Glyphosate, but studies show Glyphosate is not as good as it is billed. Glyphosate is less toxic than many other herbicides, but it’s still the third most commonly reported cause of illness among agricultural workers in California. Glyphosate products are acutely toxic to humans and animals, with symptoms like eye and skin irritation (lasting up to 7 days), cardiac depression, gastrointestinal pain, vomiting, and accumulation of excess fluid in the lungs. Glyphosate can cause other long-term damage. Population studies show increased miscarriages and non-Hodgkin’s lymphoma. Animal studies show genetic damage, reduced sperm counts, cataracts, and thyroid, pancreas, and liver tumors. For landscape maintenance workers, it ranks highest in their field as respiratory problem. When the vast majority of today’s most prevalent diseases can be traced to the same long-term side effects brought about by exposure to Roundup, we have a very real public health crisis on our hands. A person might think I am just spraying the cracks in my driveway where the weeds grow or in between the rows in my garden. What Roundup is doing downstream from your yard is another story. The World Wildlife fund announced that last year’s Monarch migration from Canada, to the United States and down to Mexico was the lowest it’s ever been since scientists began tracking them over twenty years ago. In fact, a 43 percent drop has been measured compared to last year, that’s huge and very concerning. It’s not only Monarch Butterflies, but Bees as well. A lot of information has come out linking Monsanto Roundup to the death of millions upon millions of bees over the past few years. These pollinators are very important to your environment. In Minnesota Monarch larvae feed exclusively on milkweed, which has seen a 58 percent decrease across the Midwest between 1999 and 2010 because of herbicide (Roundup) use and loss of habitat. In California Glyphosate has been detected beyond the recommended limits of good drinking water in 41 percent of groundwater samples tested reveals yet another concerning “side effect” of its rampant use, namely, that it is not biodegrading in the soil, as previously told to us by Monsanto. I could go on and on about the effects of Roundup and how it is affecting you on a daily basis from the food you buy in the store to the grass your children play on the park, but I just wanted to get my basic point across to you of its effects. There are allot of substitutes to use instead of Roundup, but the one thing I use that is tried and true is White Vinegar. Why douse them with something that will remain in the soil for who knows how long? Try vinegar instead. It’s is cheap. It’s easy to use. I keep gallons of the stuff in my garden shed. I use a 50/50 mix and spray on a sunny day. Some people use salt in the mix, I don’t. Another way to take control of your weed problem that works well is your hands. Go play in the dirt, have your kids join you, turn off the cell phones, the TV, and the internet and go play in the dirt. I have been gardening for years, and my favorite part is always playing in the dirt. So the next time you’re in your favorite Garden Center that promotes “We are green, we support organic gardening, and we are doing our part to save the environment.” Ask them why they are still selling Roundup. We didn’t see more than one or two all summer in 2013, but 2014 was somewhat better. Now it’s 2015, and we started the season with a tattered female and some eggs at the end of May. We collected 7 caterpillars and one egg by June 7, raising 8 butterflies for release between July 2 and 16 — five males and three females. Our garden, near the southwest corner of Minneapolis, has been a battleground for male monarchs since around the time the releases began . We know that a neighbor had raised more than twice as many and was releasing them around the same time. By mid-July, milkweed in the garden was carrying as many as 5 eggs on a plant, and meals in the garden were aswirl with patrolling monarchs in pursuit of rivals and mates. Along the streets and alleys in the neighborhood, milkweed was being allowed to remain where it would usually be pulled out. The rest of the summer remains to be seen, but things are definitely looking up. It’s finally Monarch season in our garden! I’ve got a couple ready to make chrysallis and last night I found a dozen or more eggs on my swamp milkweed shoots! YAY! I didn’t realize how much I missed them until we didn’t get them this year! I’m glad to hear they’ve finally made it to your garden. I’ve also found eggs on swamp seedlings but I haven’t found any on our ‘mature’ swamp this season. Enjoy your monarchs! We have seen a few Monarchs out here but not too many. I have released 6 on my own and 1 I gave away to a gal at work for her family to watch-they also released it. I took 2 caterpillars to work and had several people watching them. One did not make it-but the other “hatched” while we were on break-came back to a butterfly! Missed it by moments! 🙁 But I saw one at home the next day! What an exciting experience!